This week's teaser comes from Shatter Me by Tahereh Mafi. THIS. BOOK. Why have I not read this book yet?! I'm reading this one slowly because I have a bunch of other books that I have to finish by their deadlines, but it's just too good to wait! And another because there are just so many beautiful quotes! 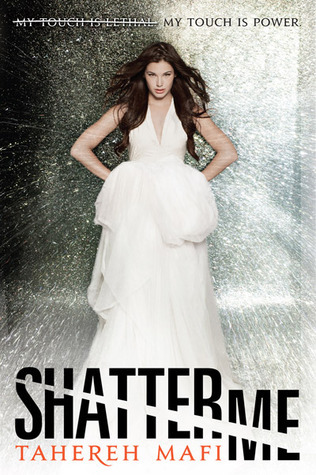 Find Shatter Me at these sites! Those are great quotes, especially the first one. I have heard mixed things about this book, but it is definitely on my to-read list.